Providing you the best range of high pressure pumps with effective & timely delivery. 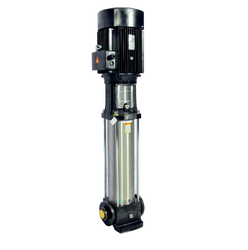 High-Pressure Pumps is installed in water storage tank and functions to boost up water pressure of every water tap that is connected to the tank so that a comfortable shower is possible at all time. Automatic start-stop when water taps are opened/closed. "Dry-Running” protection – pump will stop if the water tank is empty. Non-corrosive rust proof Stainless Steel impeller. Pressure control by Automatic Electronic Pressure Switch Controller. No diaphragm or pneumatic tank used to avoid routine maintenance. Quiet with the extremely low noise level. Ideal for Rain Shower Head fittings.